Hi - We have set up SMTP sender credentials for the autoresponder email for our customers so that we can keep the autoresponder branded to our organization. That said, our IT department currently only allows email to go out from our IP and seems to feel that with this integration we would still need to add a jot form IP to allow the autoresponder to reach the customer. 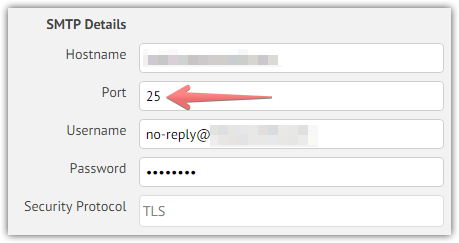 How do we know what IP Address JotForm is using for the autoresponder so that we can provide this to IT? I *believe* this is a different use case than getting a list of jotform IPs for whitelisting form submissions from customers. That said, is it the same list for both cases, does it change often, and if so is there a range we can use that would ensure that we're covered going forward? Those are the same IPs from the Whitelisting JotMails IP guide. However, we cannot guarantee that IPs will always stay in mentioned above ranges. The IPs might be changed from time to time. Thank you for your quick response Mike. As a potential customer that needs to send branded autoresponder emails (and be assured they reach their destination consistently w/o interruption), do you have a process for notifying customers that IPs have changed? Or will the integration potentially break one day when IPs have changed and its up to me as a customer to consistently check the whitelisting page and coordinate with IT? Unfortunately, the IPs are changed without a notice. We also have the following warning in the whitelist guide. This guide is no longer useful. Our IP addresses keep constantly changing. Our best recommendation to avoid email bouncing issues is to use your own SMTP settings for the sender email. The IP whitelisting is usually not required for regular SMTP senders. It seems that your SMTP based emails are currently failing at JotForm. I have noticed that your SMTP sender is configured with 25 port and TLS protocol, the TLS usually works through 587 port. I would like to suggest confirming the settings with your mail host. Thank you Mike. I had tested with SSL Port 25 already and just figured I would test TLS as well and that's why it's already in there. I'm going to change that back. I wonder if there is a disconnect with our IT department on how this works? They had mentioned that they would need to explicitly add an IP Address as they only allow outgoing mail from our internal IP address. Which, I guess I wasn't expecting as the SMTP setup in JotForm asks for the the hostname, port, username, password etc...I had assumed with these credentials that needing to provide an IP wasn't needed. From your experience is it atypical for an IT department to ask for you IP address to add to their allowed list IPs to send email using your SMTP configuration? From our experience, it is not atypical for the IT department demanding the IP address since our IP addresses keep constantly changing. As an alternative solution, I would recommend you to use verified email instead of STMP. If this does not help, please contact us again. 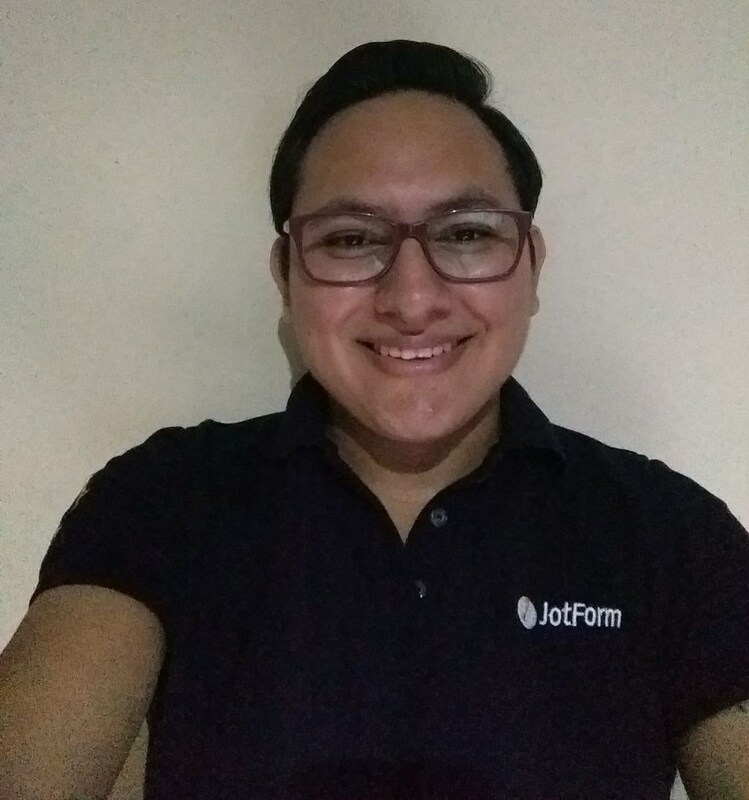 If you want sender email to have JotForm extension, there is no need to set up SMTP. 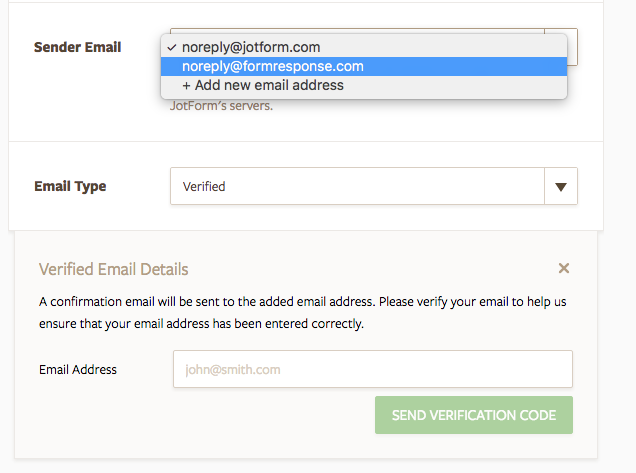 JotForm's default sender email is noreply@jotform.com . 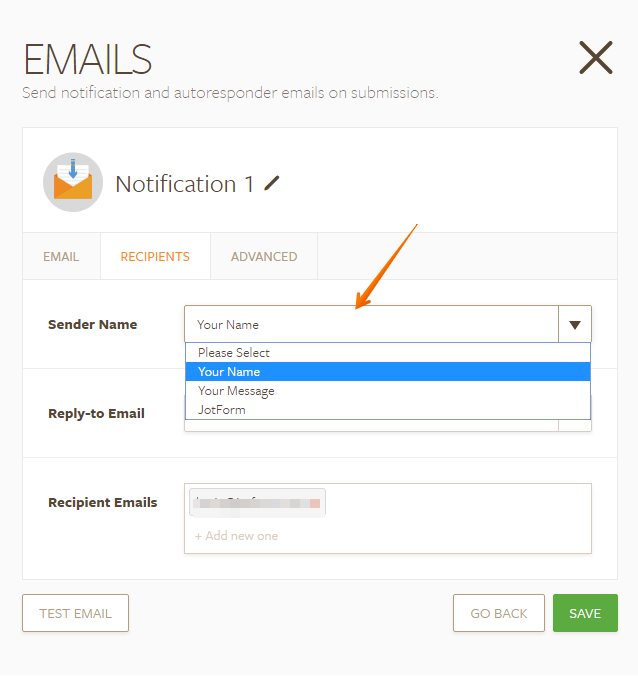 However if you want your own email address as the sender email, you can set up SMTP for your form. Please have a look at the user guide below for further information on setting up SMTP for a form. Additionally, our IP addresses cannot be whitelisted at the moment as they keep changing. We did try the verified email set up first (as it was the easiest to do) and noticed the Jotform display name shows up when we tested. We did not want our sender email to have a JotForm display name for our customers (and consequently why I started this thread to investigate SMTP setup). Having our brand show up for the customer is important to us. I believe the display that name shows up in the first screenshot is not editable in the verified email set up? ---> If it is in fact editable I would greatly appreciate knowing where and we will use this method. In regards to the SMTP set up through JotForm for autoresponder, I don't really understand the recommendation to use it. If IT departments typically demand the IP address to allow emails to go out through this integration and if this is necessary to ensure recipients get the email (and if your IPs are prone to changing), then it appears this may not really be a stable method? Essentially at some point down the road, your ip will change and recipients will stop getting emails and we won't have any notice that your ip has changed proactively to prepare. Again, thank you so much for your assistance. I believe the display that name shows up in the first screenshot is not editable in the verified email set up? The sender name is JotForm by default, but this is editable and you can change it in the email settings, while in the email wizard go to the recipients tab and click on the drop down "Sender Name", by default it should say JotForm as this is the sender name you're receiving in your emails currently, but when you click on the drop down you will get the fields in your form where you can select that field that you want to be the sender name. But do note that using a custom sender using the verified method will still use our IP address and will just mask the sender email address with yours, it seems that with this method (verified) you will need to get the IP address that JotForm uses to send the emails, something that will not be possible since our IP address are dynamically changing. However, what Emily suggested could work for you since when you set up a custom sender email address using the SMTP method you do not use the JotForm IP addresses anymore and you can handle the sender info in a better way since this is basically your info so if you use a sender using SMTP you will need to use the sender IP address/addresses of your mail server since that/those IPs will be used in the sender info.